Vogue Style Editor-at-Large Elisabeth von Thurn und Taxis, before A Show, NYC, September 2015. 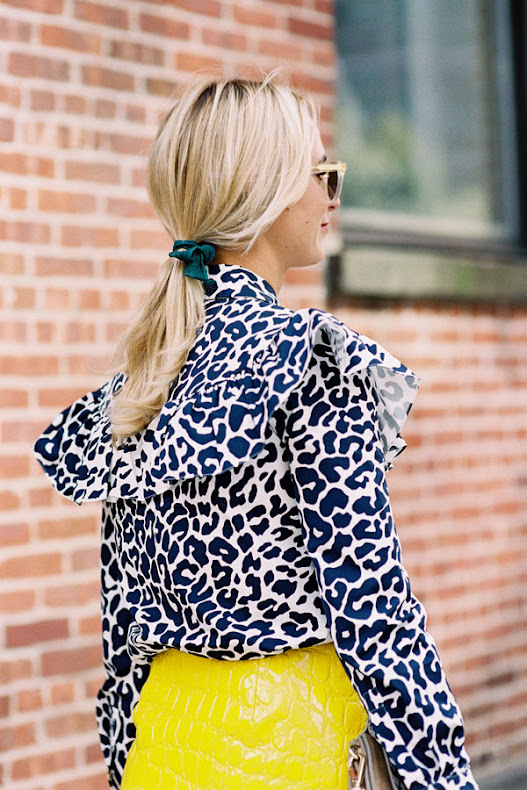 Leopard blouse + faux croc-print skirt (love that acid lemon drop colour! ).